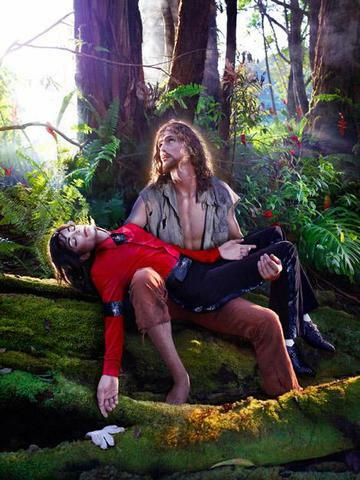 Presented at Bundeskunsthalle Museum in Bonn, Germany, "Michael Jackson: On the Wall" will feature four of David LaChapelle's pieces: "An Illuminating Path," "Archangel Michael," "American Jesus" and "The Beatification." The Show will open March 22 and run until July 14, 2019. Michael Jackson is one of the most influential artists who created the 20th century and whose heritage continues in the new millennium. Its importance in all areas of pop culture is well known, but its considerable influence on contemporary art is still an unwritten story. But since Andy Warhol used his painting for the first time in 1982, the visual arts made Jackson the most frequently portrayed figure in the media world. The exhibition examines this influence of Michael Jackson on some of the leading figures in contemporary fine arts. It includes several artist generations as well as all media. For the first time, works by more than forty artists from public and private collections around the world, including exhibits created specifically for the exhibition, will be assembled. The exhibition was developed by the National Portrait Gallery, London, and organized with the Federal Art Gallery, with thanks to the Michael Jackson Estate.